Eye creams are used to remove wrinkles and fine lines, eliminate puffiness and dark circles under your eyes, and reduce dryness. It is important to use specifically designed beauty products for around your eyes because it is the thinnest layer of skin on your body and the most sensitive. The best products do work at smoothing out fine lines and leave your eyes looking refreshed and younger, although don’t expect to turn the clock back to your youth. Some eye creams, also referred to as eye serums or eye gels, primarily target specific problems like puffiness or dark circles. At the very least they usually all leave your skin feeling softer. For wrinkles we recommend a product with retinol which stimulates collagen production, however if retinol is too harsh on your sensitive eyes than look for a cream with peptides. Prices can vary greatly from less than $20 for .5 ounces, to over $200 for the same amount. Price is also no guarantee of success, as many high priced ‘miracle cures’ work no better than the cheapest brands. Below we review our list of the top 10 best eye creams. We also have a comparison chart at the bottom of article with the ingredients of each product so you can compare them. 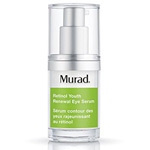 We selected the Murad Retinol Youth Renewal Eye Serum as the best eye cream. Selling for $85 for a 1 oz bottle, this product uses three forms of retinol to dramatically improve aging of the eyes including crows feet and wrinkles. This Murad formula also uses marine kelp extract to help lift, firm and brighten dark circles. Murad Retinol Youth Renewal Eye Serum works well for dry, combination, or normal skin types and contains no glutens, parabens, sulfates, or phthalates. Users should use it at night and can also layer it under a rich cream if they like. Overall we highly recommend it for anyone who wants to combat wrinkles and darkness around their eyes. 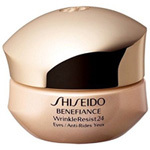 If you want to fight the fine lines and wrinkles around your eyes, there might not be a better eye cream than Shiseido Benefiance Wrinkle Resist 24 Intensive Eye Contour Cream. This rich, silky blend sells for about $44 for a .51 fluid ounce container which equates to about $86.50 per ounce. The Shiseido Benefiance WrinkleResist24 Eye Contour Cream is a little too thick to use during the day under makeup, so users should wear at night. It will work well for almost any skin type to help moisturize the skin and improve the visible signs of aging like crows feet, under-eye wrinkles, lid creases, corner creases and vertical lines. Priced near $42 for a 0.5 oz tube, Dermalogica Age Smart Multivitamin Power Firm is another eye cream that addresses aging of the eyes including fine lines and loose skin. 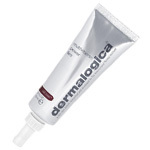 This Dermalogica product features Vitamins A, C, and E to help skin’s natural repair process and improve smoothness. It also contains silicones the diminish wrinkles and green tea to help relieve irritation. Users seem to really like the texture of this Dermalogica eye cream, with most noting that it is not greasy. We recommend Dermalogica Age Smart Multivitamin Power Firm for anyone looking to combat fine lines, puffiness, and tighten skin. If you have dry, sensitive skin around your eyes then Kiehl’s Creamy Eye Treatment with Avocado is for you. Selling for $29, the Kiehl’s product contains avocado oil – known to be the most moisturizing of any fruit oil, vitamins A, D and E, potassium, and shea butter. All these ingredients moisturize, restore suppleness, and improve the appearance of dry skin. Kiehl’s Creamy Eye Treatment with Avocado is for all skin types, especially sensitive, and users should use it at night to wake up with hydrated and rejuvenated under eyes. We recommend this Kiehl’s eye cream to combat dry skin around the eyes, however, you might want to use it in conjunction with a product that is designed to help with wrinkles or dark circles since it was not designed to directly address those issues. If you want an eye cream that targets dark circles, puffiness, and fine lines then L’Occitane Divine Eye Cream is a great choice. It is the most expensive eye cream on our list, costing $79 for a .5 oz bottle. Divine Eyes is a gel cream that contains immortelle essential oil and seven natural active ingredients, while not containing any parabens, sulfates, or phthalates. Those active ingredients help smooth crow’s feet, visibly reduce puffiness and dark circles, and give the eye area a noticeably younger look. Users should apply in the morning and evening for highest effect. 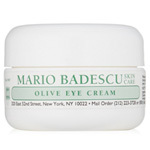 The cheapest eye cream to make our list of the best eye creams is the Mario Badescu Olive Eye Cream which sells for $18 for a 0.5 oz container, or $36 per ounce. This product uses olive oil and cocoa butter to provide extreme levels of moisture to the delicate eye are while also softening lines and wrinkles. Users note that the Mario Badescu Olive Eye Cream does feel a bit oily so you should wear it at night. It also does not really address under-eye circles or puffiness. However, if you want a quality product that will moisturize your eyes and help with fine lines for relatively cheap then this cream is a solid choice. 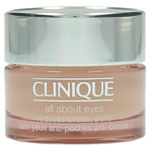 Selling for about $29 Clinique All About Eyes is a lightweight eye cream/gel formula that is a solution for puffiness, dark circles, fine lines and dryness. It is nourishing and helps moisturize, but some users have said while they see some improvement they wished it helped more with dark circles. Clinique All About Eyes works great on all skin types and can actually be used morning or night including under makeup. It is also 100% fragrance free, oil free, and paraben free. 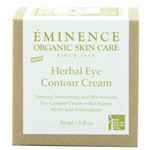 Eminence Organics Herbal Eye Contour Cream sells for about $45 for one fluid ounce which is a pretty a good value. This cream works great on dry, wrinkled skin leaving it feel hydrated and soft. It is also all organic so there are no chemicals for people with sensitive skin to worry about. The one word we read over and over again from users to describe Eminence Organics Herbal Eye Contour Cream was nourishing. Although it does not work as well for dark circles and puffiness. The $31 First Aid Beauty Eye Duty Triple Remedy AM Gel Cream is especially made for mornings in that it absorbs quickly and works well under makeup. This gel cream helps skin appear firmer, moisturizes, and diminishes the appearance of fine lines. First Aid Beauty Eye Duty Triple Remedy AM Gel Cream works well on all skin types and is made from a blend of dual peptides, plant extracts, and red algae. It is formulated without parabens, sulfates, and phthalates for use on sensitive skin. 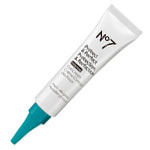 Wrapping up our list of the best eye creams is No7’s Protect & Perfect Intense Eye Cream which sells for about $21.50 for a 0.5 oz tube. This formula was created specifically for the delicate eye area to target fine lines and wrinkles and deal with aging skin. It might help a bit with puffiness and dark circles, but it was not really designed for this purpose. 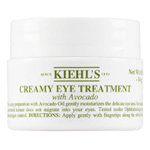 Kiehl’s Creamy Eye Treatment with Avocado 9.0 $29.00 .5 oz $58.00 Moisturizing, Sensitive Skin Aqua/Water, Butyrospermum Parkii Butter/Shea Butter, Butylene, Glycol, Tridecyl Stearate, Isodecyl Salicylate, PEG-30,Dipolyhydroxystearate, Tridecyl Trimellitate, Persea Gratissima Oil/Avocado Oil, Isocetyl Stearoyl Stearate, Propylene Glycol, Dipentaerythrityl Hexacaprylate/Hexacaprate, Sorbitan Sesquioleate, Magnesium Sulfate, Phenoxyethanol, Hydrogenated Castor Oil, Sodium PCA, Ozokerite, Methylparaben, Tocopheryl Acetate, Isopropyl Palmitate, Disodium EDTA, Copper PCA, Butylparaben, Ethylparaben, Propylparaben, Helianthus Annuus Seed Oil/Sunflower Seed Oil, CI 75130/Beta-Carotene, Tocopherol, Citric Acid. 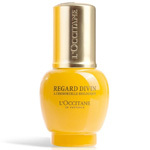 L’Occitane Divine Eye Cream 9.0 $79.00 .5 oz $158.00 Dark Circles, Puffiness Water, Glycerin, Rosa Centifolia Flower Water, Caprylic/Capric Triglyceride, C14-22 Alcohols, Dimethicone, Glyceryl Stearate, Oenothera Biennis (Evening Primrose) Oil, Butyrospermum Parkii (Shea) Butter, Helichrysum Italicum Flower Oil, Myrtus Communis Oil, Helichrysum Italicum Extract, Camelina Sativa Seed Oil, Borago Officinalis Seed Oil, Echium Plantagineum Seed Oil, Fraxinus Excelsior Bark Extract, Polygonum Fagopyrum Seed Extract, Helianthus Annuus (Sunflower) Seed Oil, Rosmarinus Officinalis (Rosemary) Leaf Extract, Mel/Honey, Hydrogenated Vegetable Oil, Sucrose Palmitate, C12-20 Alkyl Glucoside, Glyceryl Linoleate, Carbomer, Peg-100 Stearate, Sodium Phytate, Ethylhexylglycerin, Phenoxyethanol, Chlorphenesin, Sodium Benzoate, Potassium Sorbate, Tocopheryl Acetate, Alcohol, Tocopherol, Limonene. First Aid Beauty Eye Duty Triple Remedy AM Gel Cream 8.8 $31.00 .5 oz $62.00 Wrinkles, Dryness, Puffiness Water, Dimethicone, Glycerin, Butylene Glycol, Albizia Julibrissin Bark Extract, Lactobacillus Ferment, Cyclopentasiloxane, Inulin Lauryl Carbamate, Hydroxyethyl Acrylate/Sodium Acryloyldimethyl Taurate Copolymer, Betaine, Methyl Gluceth-20, Pentaerythrityl Tetraethylhexanoate, Kappaphycus Alvarezii Extract, Sodium Hyaluronate, Cucumis Sativus (Cucumber) Fruit Extract, Darutoside, Palmitoyl Hexapeptide-12, Palmitoyl Tetrapeptide-7, Chondrus Crispus Extract, Camellia Sinensis Leaf Extract, Chrysanthemum Parthenium (Feverfew) Extract, Dipotassium Glycyrrhizate, Glycyrrhiza Glabra (Licorice) Root Extract, Tocopheryl Acetate, Adenosine, Ricinus Communis (Castor) Seed Oil, Squalane, Cetearyl Alcohol, Sodium Polyacrylate, Cetearyl Glucoside, Polysorbate 60, Polysilicone-11, Maris Aqua (Sea Water, Eau de Mer), Sorbitan Isostearate, Carbomer, Sodium Lactate, Polysorbate 20, Phenoxyethanol, Sodium Benzoate, Disodium EDTA, Potassium Sorbate.